"Racing the Best Accredited and Ohio Bred Thoroughbreds!" "Raising the Best Accredited and Ohio Bred Thoroughbreds!" "Selling the Best Accredited and Ohio Bred Thoroughbreds!" "Breeding the Best Accredited and Ohio Bred Thoroughbreds!" Want to be competitive in the accredited program? 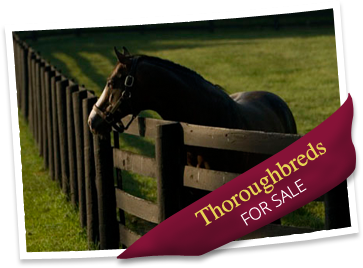 Breed or buy a Mapleton Thoroughbred Farm sired yearling. Mapleton Thoroughbred Farm sires are one and two in 2018, as rated by the Blood Horse. In 2018, The Radosevich & Glacial Princess Stakes, for 2-year-olds, has been won by a Mapleton Thoroughbred Farm sired colt and filly. Third year in a row: 2016, 2017, 2018. A Mapleton Thoroughbred Farm sired colt wins the Radosevich Stakes. Awesome Patriot 1st crop 2 stake horses from 4 winners! May marks the end of another successful foaling season at Mapleton Thoroughbred Farm, 26 foals for 2017. Congrats to Veronica Thomas for another foaling season well done! Mobil is named Ohio stallion of the year for Ohio in 2016. Mobil Sky is named champion 2 year old colt for Ohio 2016. Tiger Blood, a 4-year-old gelding by Cowtown Cat wins the $100,000 Pelican Stakes at Tampa Bay Downs, going 6 furlongs in 1:09.42. Mobil Sky wins the Radosevich Memorial stakes 11-17-2016. Mobil Sky has won both accredited 2 year old stakes for total winnings of $ 123,300.00, as a 2 year old. Cowtown Cat’s 2016 Runners in North America, have now exceeded $2,000,000.00 for the year. Mapleton bred fillies ran 1st & 3rd, in the Emerald Necklace at Thistledown on October 1st, 2016 – Won by Pyrite Slew and Mygirlfriday was 3rd. Mobil’s ran 1st, 3rd, & 4th, in the Loyalty stakes on September 10th, 2016 — Won by Mobil Sky, with Bubba J 3rd and Speedy Mobil in 4th. Mapleton bred 2-year-olds win both, 2-year-old accredited stakes. Cowtown Cat had a runner in the 2016 Breeders Cup – Calgary Cat ran 4th in a field of 14 in the Turf sprint. Want a winning accredited sprinter, then breed to Cowtown Cat. We welcome and thank you for your interest in Mapleton Thoroughbred Farm and the “Sport of Kings”. 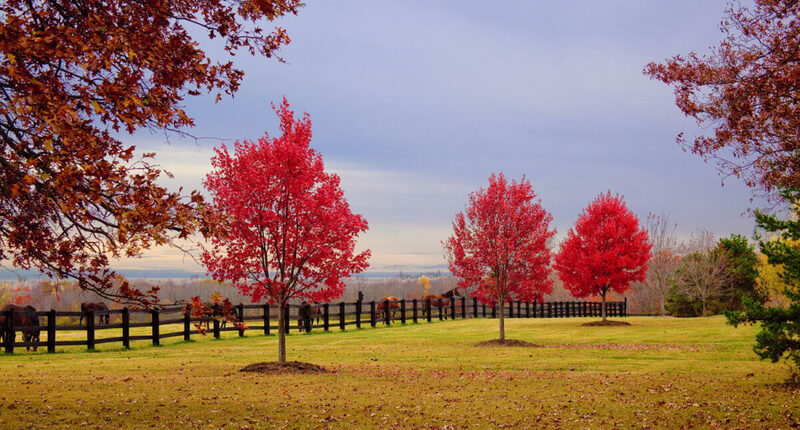 As you go through our site we hope you will appreciate our pride in our farm and more importantly, the love of the Thoroughbred bred and raised in Ohio. The original farm dates back to 1878. The present day farm was founded by Dr’s. George R. Sikora and John P. Bryk. Today, it operates as a modern thoroughbred operation. Our involvement in Ohio Thoroughbreds dates back to our youth, while as a student in Veterinary School, Dr. Sikora worked at Darby Dan Farm in Columbus, Ohio. 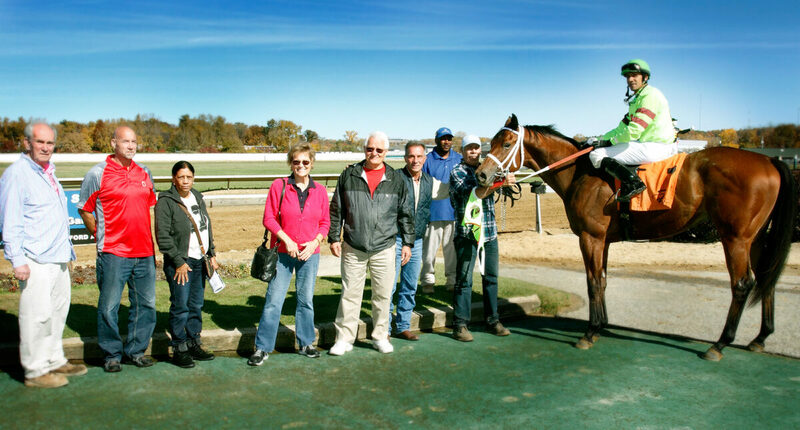 Over the years, their interest in Thoroughbreds involved ownership of claiming horses in Ohio racing. Recently our ownership in thoroughbreds has escalated, in the last 7 years, to take advantage of Ohio’s approval of racino’s by building a modern breeding and racing operations. 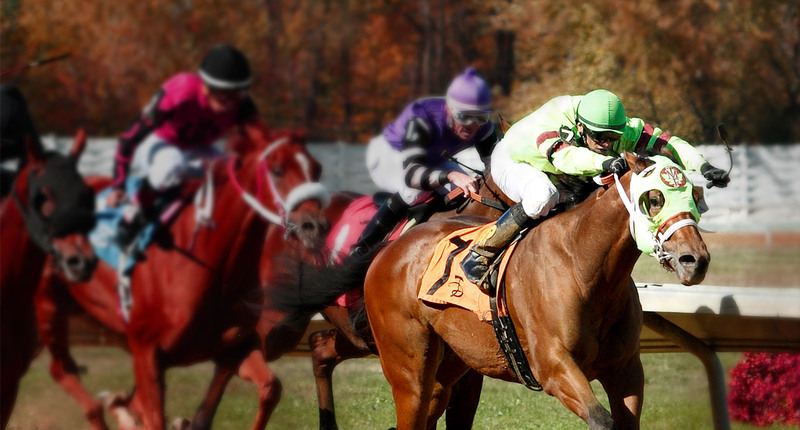 The focus is to breed, raise, sell and race the best accredited and registered Ohio Thoroughbreds in the buckeye state. 300 plus acres of lush pasture, hay meadows and alfalfa fields. 10,000 sq. ft. state of the art receiving barn, for mares being bred. 10,000 sq. ft. broodmare barn with adjacent loafing sheds. 5,000 sq. ft. stallion barn with breeding shed and veterinary complex. 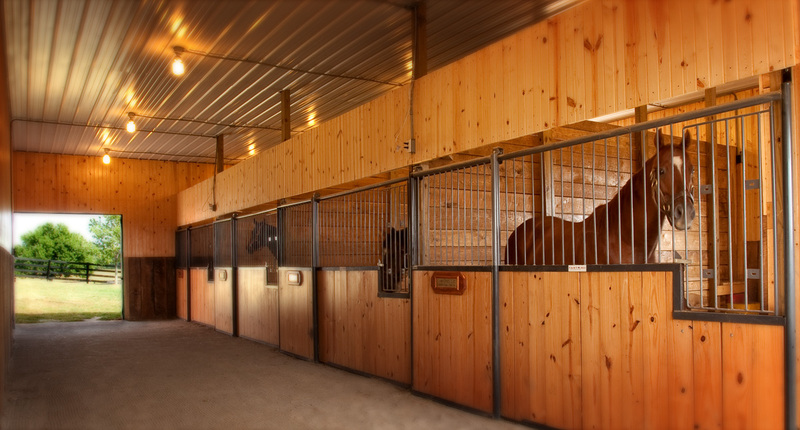 Multiple run-in sheds for yearlings, stallions and lay ups. Enclosed horse walker and treadmill for training & rehabbing layups. 5 miles of board fence. Whether you choose to board here (broodmare, yearling or lay ups), breed to our stallions, breed or race with us, we can assure you that our commitment to your Thoroughbred will help you achieve your dream. © Copyright 2016. All Rights Reserved. Site Designed by CYber SYtes, Inc.